Guess announced that Michael Relich has been appointed to the position of COO within the Company, a jump in former responsibilities as CIO for the past nine years. So why is this a big deal? Relich has been with Guess since 2004 and has attracted much media attention for his huge successes within the company as an Executive Vice President and Chief Information Officer. To put it simply, he gets it. In 2011, Relich was selected as the Retail CIO of the Year for Strategic Impact by RIS News, the leader in retail infosystems news & information. He was also a speaker and finalist at the 2013 MIT CIO Symposium and claims many other accolades such as being named a Retail Influential Leader in 2007. As CIO at Guess, Relich has led the Company's successful online rebrand and Ecommerce implementation. With how rapidly technology is evolving in regard to Ecommerce solutions for apparel brands, this is no easy task. Staying ahead of competitors and acquiring customers online requires a continually evolving understanding of the fusion between technology implementation and consumer buying motivations. Guess has a highly evolved Ecommerce website that values an image-rich, visually appealing product display. Most notable is the Guess True Fit system that calls shoppers to get the perfect fit on the items they're shopping for. This tool uses the shopper's height, weight, age, body characteristics, and style preferences to create a unique "True Fit" that you can save within your Guess online profile for an auto population of which size you should be on every item across the site. Now that's innovative online shopping. From clever implementation of Recommended Products to a natural integration with social media outlets, the Company's online shopping process is very natural and speaks well to the target shopper. Relich has also been responsible for leading the Company's IT, Distribution, Logistics, and Strategic Planning in addition to Ecommerce. 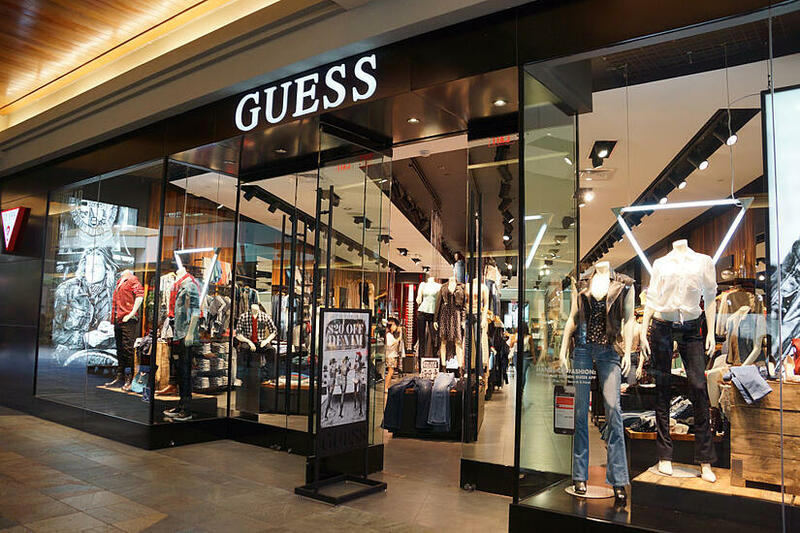 His strategic vision for Guess has led to the Company's implementation of very intelligent technologies that promote long-term growth of the business. Co-founder & CEO, Paul Marciano said "I believe, more than ever, that the integration of technology, speed, and brand synergy is vital for our success. Michael's proven experience in these areas makes him a great fir as our new Chief Operating Officer." With Michael Relich stepping further into the core of the business at Guess, the Company expects to continue the successes they've had and push on as an innovator in the apparel industry. Guess has a very impressive history since their founding in the Los Angeles apparel scene in 1981. See how Guess has thrived in the apparel industry for over 30 years.